The TwinOxide Display Carton contains 2 kits of 1 liter TwinOxide, packed in a full colour hardboard carton. 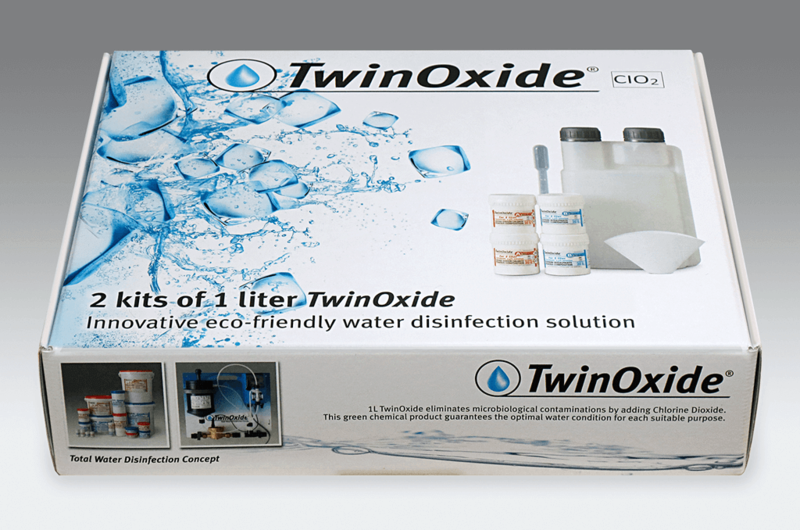 1 liter TwinOxide eliminates microbiological contaminations by adding chlorine dioxide. This green chemical product guarantees the optimal water condition for each suitable purpose. The TwinOxide Display Carton can be used for testing and sampling purposes.